So, ignore the lettering – I’m not a letterer. 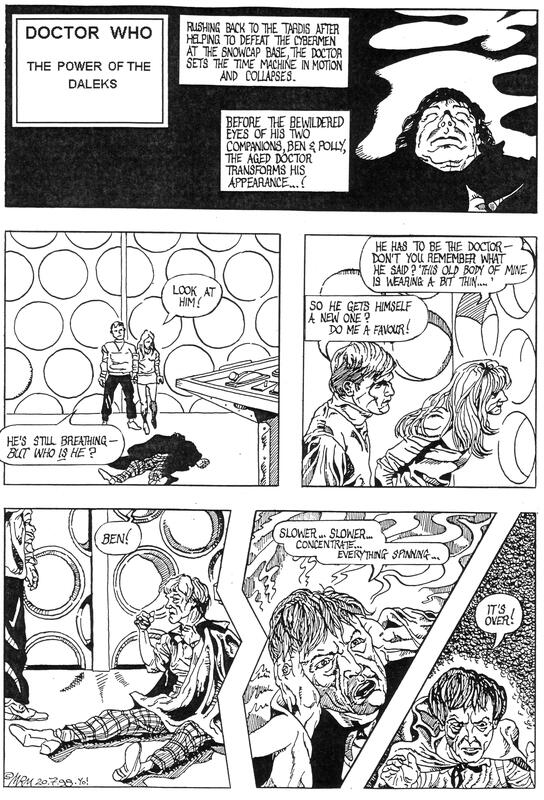 I drew this one-page sample of a comic strip adapting a lost Doctor Who story to pitch to the editor of Doctor Who Magazine. I still think it’s a neat idea, but I don’t know if there’d be copyright issues with producing strips like this. After all these years… yeah, some of the individual panels are OK. Anyway, my car broke down (the exhaust pipe fell off) on my way to meeting the editor. So I never did find out what he thought (he did not respond to my follow-up missive apologising for the missed meeting and in those pre-mobile phone days, I couldn’t simply call him). Such is life.